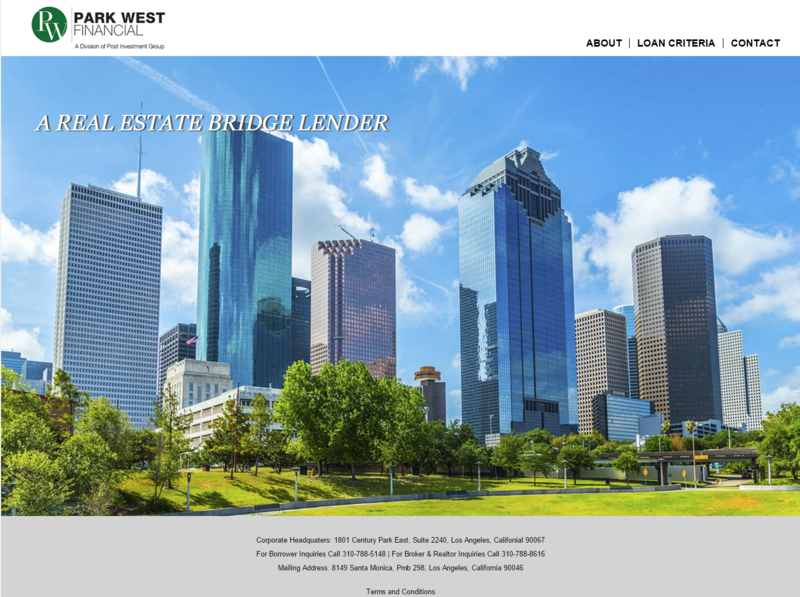 Park West Financial (“Park West”) is a fully integrated lending platform, uniquely capable of placing smart capital into strong yielding collateralized real estate holdings. 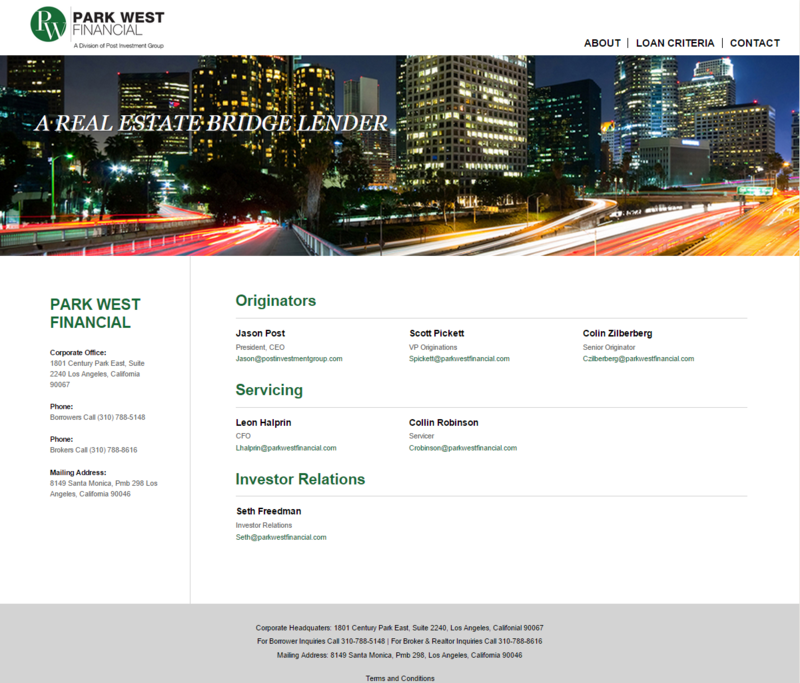 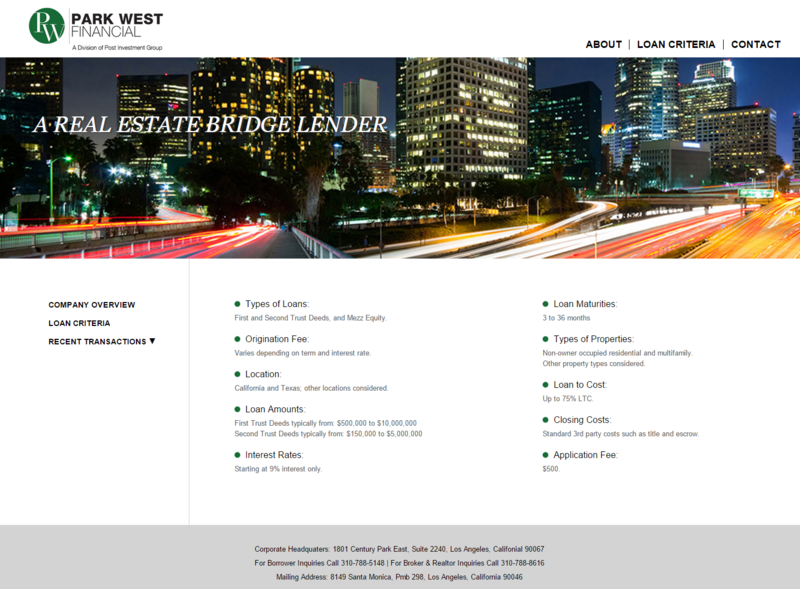 Eschewing the traditional brokerage and warehouse lending structures, Park West elected for the operational route which enables the company to better quantify risk and, most importantly, extract yield from transactions that would otherwise be dilutive to less nimble lending programs. 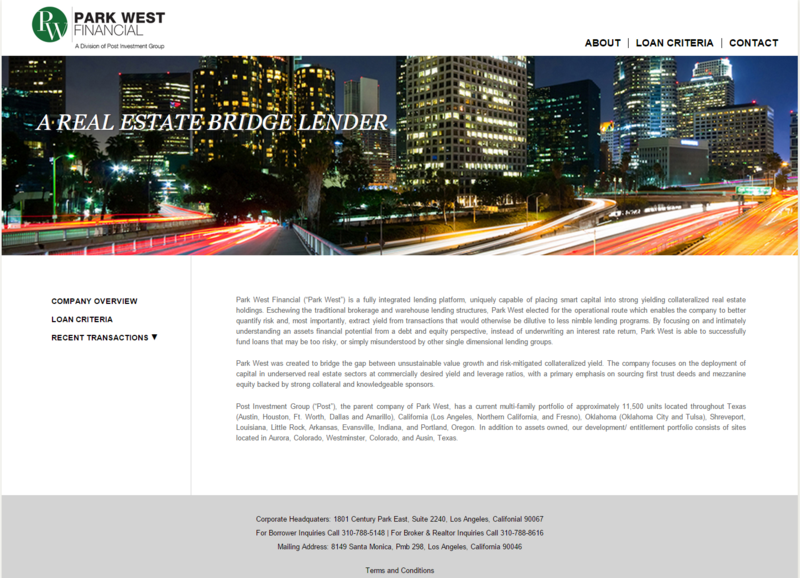 By focusing on and intimately understanding an assets financial potential from a debt and equity perspective, instead of underwriting an interest rate return, Park West is able to successfully fund loans that may be too risky, or simply misunderstood by other single dimensional lending groups.